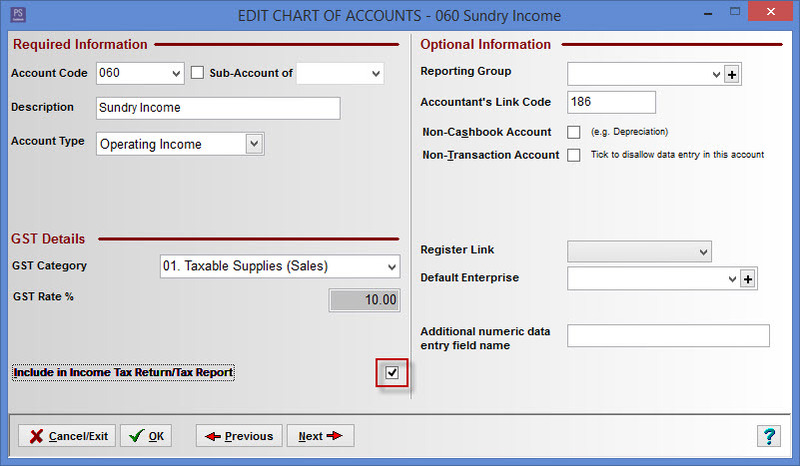 When do you tick the Include in Income Tax Return/Tax Report box in the Income and Expense chart of accounts setup? This box is ticked when the income items that are to be included in the calculation of the gross taxable income for PAYG instalment purposes. Leave unchecked if the account does not affect taxable income e.g. Bank Loan Received. sole traders, companies and superannuation funds. your PAYG instalment rate is a percentage figure that we use to help make sure the total instalments you pay are as close as possible to the expected tax payable on your business and/or investment income. ATO calculates your PAYG instalment rate from your latest tax return.